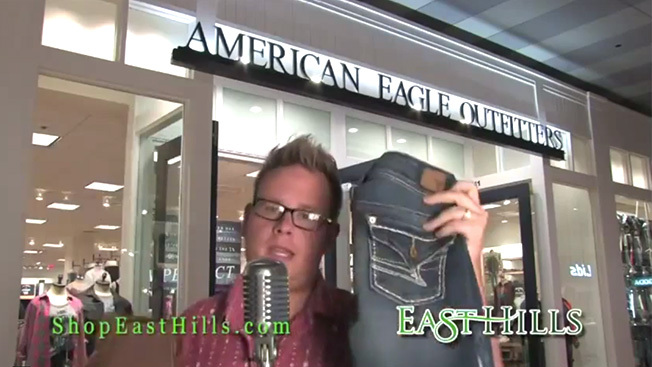 Did a Missouri Shopping Mall Just Make the Worst Local Commercial Ever? Advertising is easy. You can sell anything you want nowadays if you just pick up a camera, press record and then upload the results to the Internet. Music? No problem! Just get your friend to beatbox over the video. So simple. What is not easy is getting people to go to malls. East Hills Mall in St. Joseph, Mo., needed some summer traffic in its glorious shopping paradise, so it made its own spot. The commercial really has everything you need: actors, props, a soundtrack! I can't think of anything else that would make it better. Take a look below. Sure, some might call it the worst local commercial ever made. I call it perfect.